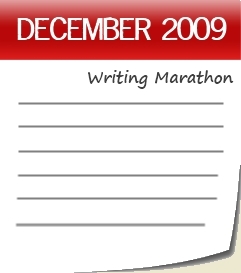 In my previous post entitled Who’s Up for a December Writing Marathon? Some Proposed Rules, I offered some generic guidelines to see what you might think. Because December is a little over a week away, I’d like to share with you the specifics of this marathon. First? Some guidelines to help keep this marathon honest and fair. What Is or Isn’t Included? Many of my fellow authors and game designers are under what’s known as a non-disclosure agreement for our projects. For those of you who haven’t sold a particular story, you’re working on something that is speculative, so what you share is up to you. Because our projects and the amount of detail that we reveal may vary from person to person, it’s easier to explain what’s eligible for this marathon by sharing with you what I feel is not eligible. 1. Blogging and other internet-related content on Facebook, Twitter, etc. The goal here is to spend the month writing on a particular project, one that is either brand new or existing. In order to do that, we all need to do a little leg work to ensure that we’re working towards a completed story or project. Some of the things I mentioned above, like the research or the outlines, are things all writers do. Of course, if a project comes up that needs to be revised, that may throw a kink in the works. (I have four out there that I’m waiting to hear back on.) However, this is very similar to what happens in real life. For myself, if a revision comes up? I still have to keep going. All you need to do to get started, is to figure out what it is you want to write and what your goals for the month are. For beginning writers, maybe your goal is simply to finish writing 20,000 words in a month. If you’re an experienced writer, perhaps you may want to add a layer of difficulty in like an extra revision or a higher word count goal. Is That It? How Do I Keep Going? Here’s the fun part. When you submit your goal (see below), tell me what you’ll do if you miss a day. Do you hate sit-ups? If you miss a day, you could do twenty-five of those. Do you loathe laundry? Promise yourself that you’ll do laundry instead. To help motivate you, I’ve already started working on drafts talking about the marathon in December. You can subscribe to my RSS feed if you wish or you can stop back once-a-week to check in. It’s up to you. 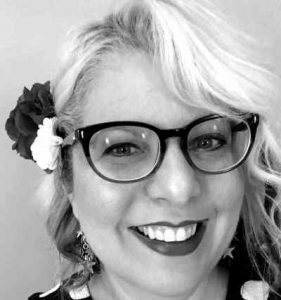 For your convenience, I did create a December Writing Marathon on MLVWrites.com category specifically for this activity. If you wish, please blog your goals for the December Writing Marathon by midnight, November 30, 2009. Then, please send me your link using my contact form to your blog post so I can add them to a post about our writing goals. Please include what activity you will do if you miss a day. If you send me a post at the end of the week, I will be happy to include that in my weekly wrap-up as well. It is not required for you to blog, though, since that word count is over-and-above what you’re working on. Many word processing programs have a word count feature. If you want to post your word count on your own website, I recommend using one of these word count tools from this post entitled 6 Word Meters and Trackers for the Word Count Obsessed. Any Advice On What I Should Avoid? Recommend avoiding any discussions that cause you to second-and-triple guess either your career or what you’re working on and add to your fears. Be brave. Be BOLD. Write, write, write! The publishing industry will still publish books, with or without you writing them. Also? Recommend identifying your time-wasters up front. If you need a pep talk, give a shout-out to a fellow marathon member or read more for motivation. If you don’t finish by December 31, 2009 – keep going until you do! This marathon is not about speed, it’s about endurance and getting in the habit of writing every day. What Should I Do When I’m Done? Since I’d like to do a wrap-up of our goals, I’d like to ask you to write a post describing what you’ve learned from the experience and if there is something “new” that you want. For example, did you learn that it’s really hard for you to write as much as you did? Do you want to find people to collaborate with? Regardless of what your experience was, it’s a good idea to wrap-up what you’ve learned so you can also figure out your 2010 writing goals. Please send me your link using my contact form by Wednesday, January 3, 2010. From there, I’ll put everyone’s wrap-up together in a post on my blog. Can You Help Me Write My Goals? I will offer an optional form tomorrow that you can fill out to help you formulate your goals for this project. Now if you’ll excuse me, I need to go work on my own to get ready for this too!